Keeping a relationship together is not easy. Over time, two people may realize they are not right for each other and will get divorced. When children are involved, getting divorced can be a lot harder on all parties involved. As a parent, you will have to work hard to explain the divorce process to a child. The last thing a parent wants to do is to traumatize their child due to handling a divorce the wrong way. 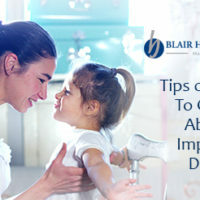 When trying to talk to your children about an impending divorce, take into consideration the following suggestions. The main thing that you need to remember when trying to tell your children about a divorce is putting a unified front. When talking to your children about this subject matter, you will need to be as honest as possible. You need to avoid fighting with your spouse during this time due to the damage it can do to them psychologically. Giving them details regarding how this process will work and how it will affect them is the best way to make them feel at ease. Playing the blame game during the divorce chat with your child is foolish and will accomplish nothing. Your children do not need to know about the particulars of your divorce due to the emotional trauma this information can cause. Being blunt and general about the reasons for the split is wise and can help you to avoid an emotional breakdown. Until you are absolutely sure divorce is the best course of action for you and your spouse, you will need to avoid telling your children. Telling a child their parents are divorcing and then reconciling the relationship immediately after can be very confusing. Unless a divorce is definitely happening, you will need to keep the relationship troubles you and your spouse are experiencing under wraps. When telling a child their parents are getting divorced, having as much emotional support around as possible is wise. Involving the whole family is a great way to get through this experience without falling apart. If you are still reeling from the impending divorce, then you will probably be very emotionally vulnerable. Having others there when having this conversation will help you to ensure your child gets all of the love and answers they need to cope with this situation. Usually, a child will have a variety of questions when faced with the news their parents are getting divorced. Letting a child talk about these concerns is essential. Neglecting to address the worries a child has about things like where they are going to live or where holidays will be spent can make them a basket of nerves. When the time comes to get a divorce, your first call needs to be to an an expert Tampa, Florida family law attorney Blair H. Chan III PLLC. The lawyers at this firm are devoted to helping you resolve your family law and matrimonial matters in a timely manner.